According to the WHO, half of the 10.4 million incident cases of TB in 2016 came from five countries where 20–50% of the urban population live in slums. Crowded living conditions and limited access to healthcare further contribute to the burden of TB in urban slums. 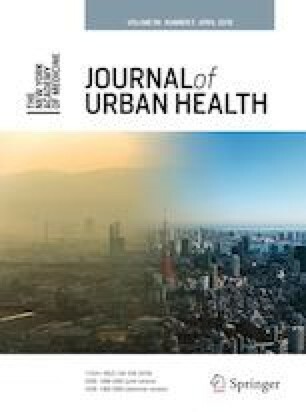 This article aims to assess the odds of the burden of TB in urban slums through a systematic review and meta-analysis. Four electronic databases were searched for studies published between 1993 and 2017, with TB defined as at least one sputum smear-positive. The review followed the PRISMA protocol and information was extracted from articles for a full-text review to determine eligibility. Odds ratios were calculated for studies reporting sputum smear-positive TB cases in slum settings with national incidence as a comparison. Summary estimates were calculated using the random effects model (95% CI) and publication bias was assessed through funnel plot analysis. A quality assessment of included articles was also conducted. This meta-analysis was conducted across three categories: (1) across all 22 studies, (2) studies utilizing Active Case Finding, and (3) studies conducted in a high TB-HIV setting. The odds of sputum smear-positive TB were significantly higher across all three categories of analysis. Compared with national TB incidence rates, the combined odds ratio of smear-positive TB within slums was 2.96 (2.84, 3.09; p < 0.01). The combined odds ratio for smear-positive TB with active case finding across 15 studies was 2.85 (2.71, 2.99; p < 0.01). Among the 11 studies that reported incidence of smear-positive TB with prevalent TB-HIV coinfection in the community, the combined odds ratio for slum residents with the random effects model was 2.48 (2.34, 2.63; p < 0.01). Using Egger’s funnel plot, publication bias was not detected within the three categories of analysis. The findings of this analysis indicate that the odds of developing TB are almost five times as great in urban slums. Reaching the most vulnerable and often overlooked groups in slums is crucial to achieving the SDGs and End TB Strategy by 2035. The findings and conclusions in this report are those of the authors and do not represent views of the institutions they are affiliated with. There are no conflicts of interest to report in the development of this manuscript. No funding was provided for this research. The United Nations Population Division’s World Urbanization Prospects: 2014 Revision. World Bank Open Data. https://data.worldbank.org/indicator/SP.URB.TOTL.IN.ZS. Accessed 5 March 2018. United Nations Statistics Division. SDG indicators: metadata repository. https://unstats.un.org/sdgs/metadata/. Published July 17, 2017. Accessed 5 Oct 2017. UN-HABITAT. The Challenge of Slums: Global Report on Human Settlements 2003. Earthscan Publications Ltd, 2003. ISBN: 1-84407-037-9. Accessed from: http://mirror.unhabitat.org/pmss/getElectronicVersion.aspx?alt=1&nr=1156. World Health Organization, UN-Habitat. Hidden Cities: Unmasking and Overcoming Health Inequities in Urban Settings. World Health Organization; 2010. Accessed from: http://www.who.int/kobe_centre/publications/hiddencities_media/p1_who_un_habitat_hidden_cities.pdf. World Health Organization: Sixty-seventh World Health Assembly. The End TB Strategy. ; 2014. http://www.who.int/tb/strategy/End_TB_Strategy.pdf?ua=1. Stop TB Partnership, UNOPS. Global plan to end TB: the paradigm shift 2016–2020; 2015. http://www.stoptb.org/assets/documents/global/plan/GlobalPlanToEndTB_TheParadigmShift_2016-2020_StopTBPartnership.pdf. Stop TB Partnership. Data for action for tuberculosis: key, vulnerable and underserved populations. 2017. http://www.stoptb.org/assets/documents/communities/Data%20for%20Action%20for%20Tuberculosis%20Key,%20Vulnerable%20and%20Underserved%20Populations%20Sept%202017.pdf. Accessed 9 Mar 2018. Stop TB Partnership. Key populations brief. 2015. http://stoptb.org/assets/documents/resources/publications/acsm/KP_Urban_Spreads.pdf. Accessed 9 Mar 2018. World Health Organization, UN-HABITAT. Global report on urban health equitable, healthier cities for sustainable development. 2016. p. 241. http://www.who.int/kobe_centre/publications/urban-global-report/en/. Accessed 22 April 2018. Higgins JPT, Green S, eds. Cochrane Handbook for Systematic Reviews of Interventions Version 5.1.0. [updated March 2011]. The Cochrane Collaboration; 2011. www.cochrane-handbook.org. Accessed 1 December 2010.
WHO. WHO global TB report. 2002–2016. http://www.who.int/tb/publications/global_report/en/. Accessed 9 December 2017 to 15 November 2018. Sterne JAC, Bradburn MJ, Egger M. Meta-analysis in Stata. In: Systematic Reviews in Health Care. BMJ Publishing Group; 2008:347-369. https://doi.org/10.1002/9780470693926.ch18. Borenstein M, Hedges L, Rothstein H. Meta-analysis: fixed effect vs. Random Effects. 2007. https://www.meta-analysis.com/downloads/M-a_f_e_v_r_e_sv.pdf. Sterne J. Personal Communication: Funnel plots in meta-analysis and recommendations for examining and interpreting funnel plot asymmetry in meta-analyses of randomised controlled trials. BMJ. 2011;343(jul22 1):d4002-d4002. https://doi.org/10.1136/bmj.d4002. August 2011. Fatima R, Qadeer E, Yaqoob A, et al. Extending 'contact tracing' into the community within a 50-metre radius of an index tuberculosis patient using Xpert MTB/RIF in urban, Pakistan: Did it increase case detection? PLoS ONE. 2016;11(11). https://doi.org/10.1371/journal.pone.0165813. Reif LK, Rivera V, Louis B, Bertrand R, Peck M, Anglade B, et al. Community-Based HIV and Health Testing for High-Risk Adolescents and Youth. AIDS Patient Care STDs. 2016;30(8):371–8. https://doi.org/10.1089/apc.2016.0102. Saunders MJ, Wingfield T, Tovar MA, et al. A score to predict and stratify risk of tuberculosis in adult contacts of tuberculosis index cases: A prospective derivation and external validation cohort study. Lancet Infect Dis. 2017. https://doi.org/10.1016/S1473-3099(17)30447-4. Shrivastava SR, Shrivastava PS. HIV-tuberculosis interface: A comparison of collateral prevalence of HIV and tuberculosis in an urban health centre. Ann Trop Med Public Health. 2013;6(3):290–6. https://doi.org/10.4103/1755-6783.120986. Ditiu L, Sands P. A historic chance to end tuberculosis. http://news.trust.org/item/20180313104821-95lnr/. Published March 13, 2018. Accessed 14 Mar 2018.